HAPPY BIRTHDAY ... TO ME? 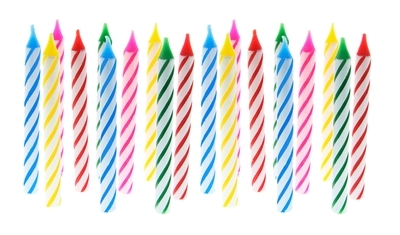 Every year, without fail, we’re asked to blow out the candles on at least one corporation’s cake. It could be 25, 50, even 100 (in the case of IBM last year). That’s a lot of lung power to use. It’s also a lot of self-congratulations to absorb. No question, IBM produced a thoughtful purview of its history, its innovations, its contributions to the world, and its future, covering both successes and failures. In 2,592 words, no less. Via four pages in The Wall Street Journal. Noticeable? For sure. [Not to mention some pretty fabulous media attention.] Yet we can’t help wondering how much more impactful the anniversary would have been if the actual ad had been designed for longevity. Which was the point of all those words: That IBM has been managed – and managed well – for the long term. This is a great example of our contemporary quandary: The demands of social media in 140 characters or less contrasted with our need to understand, pay homage, absorb, and remember critical events and activities. No, we’re not advocating that the tech giant resort to tweeting about its centennial. Especially when much of the Journal’s readership hails from investment banks, financial institutions, pension funds, and other shareholders. On the other hand, a visual timeline of hits and misses, along with the salient quotes from founder Thomas J. Watson Jr., et al., just might have become a terrific springboard for ruminations, past, present, and forward. Even more if breakthrough technology (a talking newspaper, for instance) kicked off the celebration. One hundred is a very big number, one that deserves major applause. To us, it also signifies a time to ponder – and do things just a bit differently.